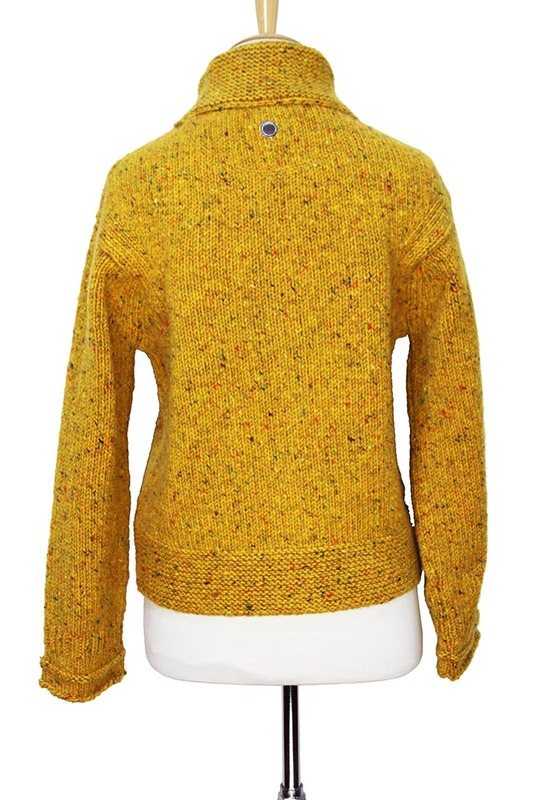 High heavy knit, zip cardigan 'Lazuli' in mustard marl. Double layer high neck. Detailed knits at cuffs, waistband, placket and collar. The mustard coloured body is flecked with greens, reds, orange and purples, it is a really lovely colourist. Metal disc stud below collar at rear. One of my favourite knits of this season.